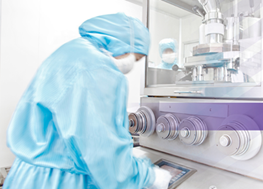 All of Texwipe's sterile products are designed to clean aseptic cleanrooms quickly and easily without compromising the sterile nature of those environments. Gamma Irradiation to a Sterility Assurance Level of 10-6 according to AAMI Guidelines. Lot-specific Certificates of Compliance, Analysis and Irradiation attached to each case. Sterile Validation Documentation available upon request. Expiration dates clearly marked on each bag or bottle.